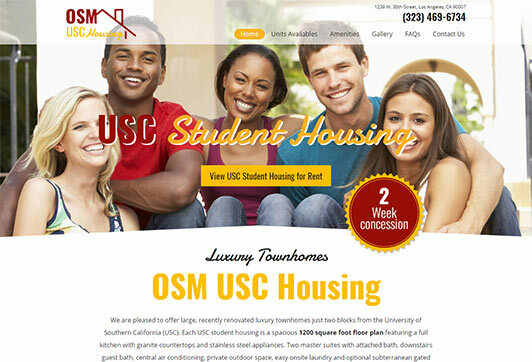 We offer web design and integrated marketing solutions for property management companies providing student housing. 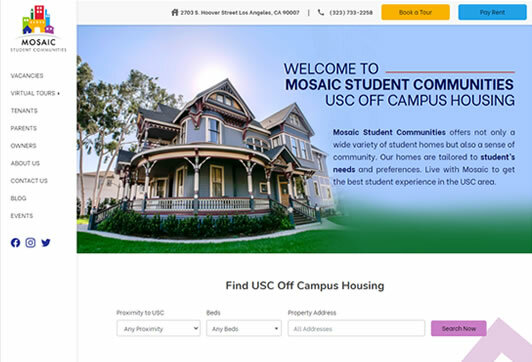 Our websites are student-friendly, with an easy approach to find the right student housing, booking student accommodation online, and safe payment processing. 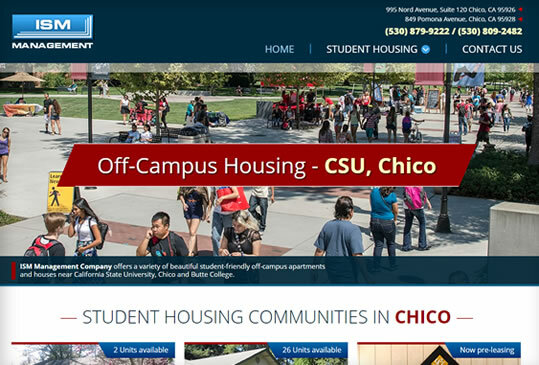 Your student housing website will look and work exactly as requested while increasing the value and profitability of your assets. 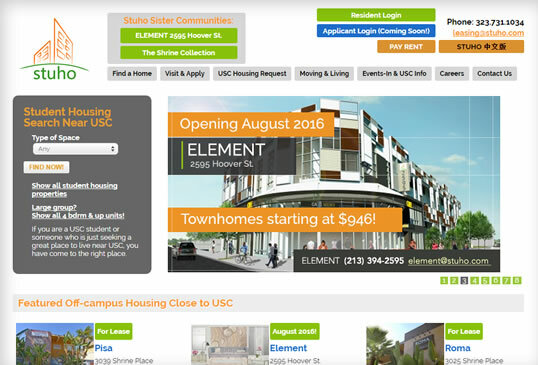 If you are a USC student or someone who is just seeking a great place to live near USC, STUHO.com is your best option. Put the ME in ELEMENT. 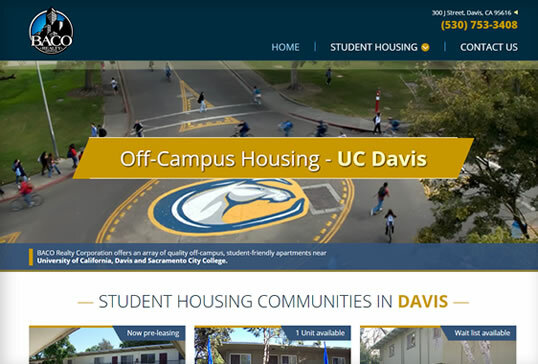 Everything you need to make your student living experience the absolute best. Find yourself here. Our mission is to provide the highest quality real estate services utilizing experienced and professional staff to accomplish the best quality of housing and service to our residents. 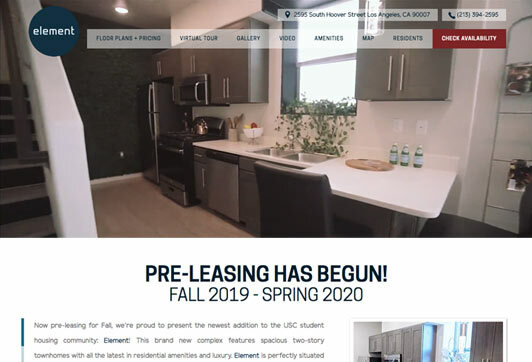 We are pleased to offer large, recently renovated luxury townhomes just two blocks from the University of Southern California (USC). 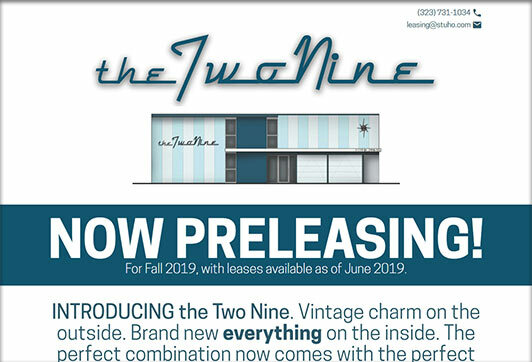 INTRODUCING the Two Nine. Vintage charm on the outside. Brand new everything on the inside. The perfect combination now comes with the perfect location. RESERVE YOUR SPACE TODAY! 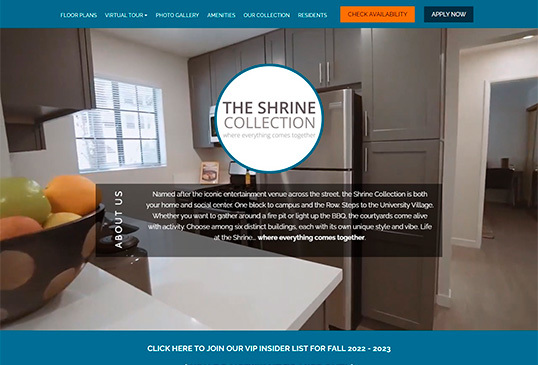 Named after the iconic entertainment venue across the street, the Shrine Collection is both your home and social center. One block to campus and the Row. Steps to the University Village. 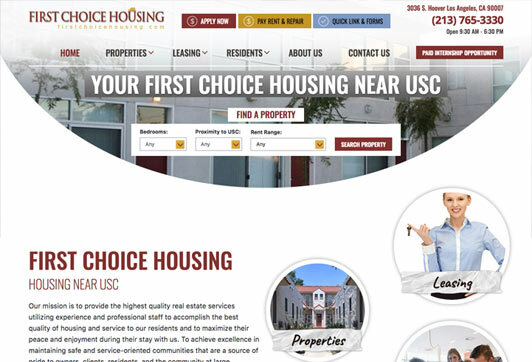 Is a real estate investment and property management company focused on the student housing markets at USC, Cal Poly Pomona and UC Berkeley.